HONOLULU—Hawaii Prince Hotel Waikiki and Golf Club has embarked on a $55.4-million redevelopment and repositioning. Once completed in spring 2017, the property will emerge as a brand new hotel with a brand new name: Prince Waikiki. The eight-month refurbishment marks the hotel’s first major remodel since its grand opening on April 20, 1990. 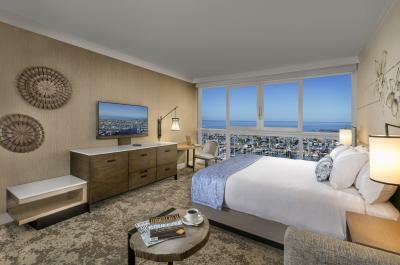 The property will include 563 oceanfront guestrooms and suites, all-new dining options, a modernized lobby, a new infinity pool and a meeting space. Hawaii-based G70 (formerly Group 70 International) is the project’s lead architect. Los Angeles-based Creative Resource Associates (CRA) Design will focus on interior design. Prince Waikiki has partnered with several new food and beverage companies. Katsumidori Sushi Tokyo will open its first overseas location on the hotel’s lobby level in December. Watabe Wedding expects to host its first wedding parties in spring 2017. Honolulu Coffee will be located in the hotel’s new lobby.